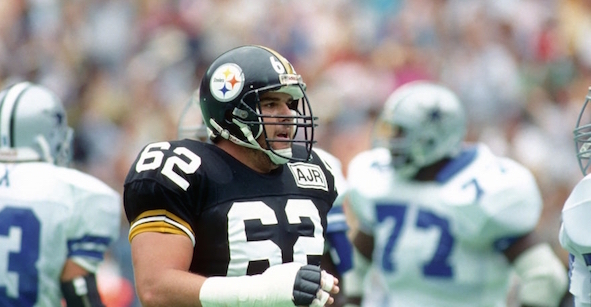 Christian Business Men’s Connection of Doylestown presents Former NFL All-Pro Offensive Tackle Tunch Ilkin at the Doylestown Country Club. Mark your calendar and bring a GUEST. Cost: $20.00 per person with check in at 6:30 A.M. Buffet starts at 6:45 A.M. and the event will end at 8:00 A.M.
To register online, click here. Simply pay on line or at door, bring email confirmation for check in! To register by phone, call 215-859-7291. Just leave your name & phone number for conformation and please give the names of any guests! All conference and All County football honors at Highland Park High School. Chosen by the Steelers in the 1980 NFL Draft. Pro-Bowl player in 1988 & 1989. A Green Bay Packer in 1993 before retiring. Sports Broadcaster and color-commentary for Pittsburg Steelers. An analyst on the Fox TV Sports Network, has written articles for NFLHS.com. Senior Vice President of the Athletic Training Network, providing training and program material to coaches and players. Married Sharon Senefeld, and had three children. Sharon died in 2012 after a lengthy battle with Cancer. He is now married to Karen Rafferty. His great sense of humor includes a story about former Philadelphia Eagles Great, Reggie White.